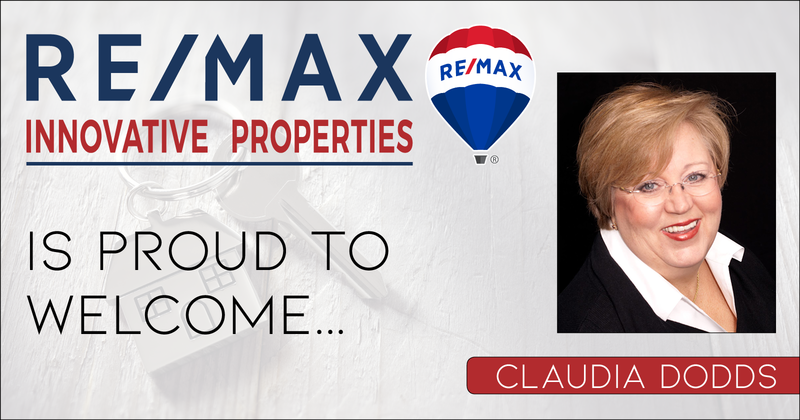 We are very proud to welcome back to the RE/MAX family, our newest agent, Claudia Dodds! As part of our efforts to bring unmatched real estate services to Southern New Hampshire and Northern Massachusetts; we have been tapping some of the best in the business to add to our growing team of real estate experts. We are so happy to add Claudia to that ever-growing list and look forward to working together with her to provide our clients with the best possible service and guidance. Claudia is no stranger to New Hampshire real estate. Having started her real estate career in 1997, she achieved RE/MAX 100% Club status, as well as countless designations showing her commitment to her craft. She brings a welcomed veteran presence to the RE/MAX Innovative Properties team. If you are interested in joining our growing team of agents, you can email us at Info@InnovativeSells.com or you can visit our Careers Site.